Start Turbo Rascal SE and click the “images” tab. 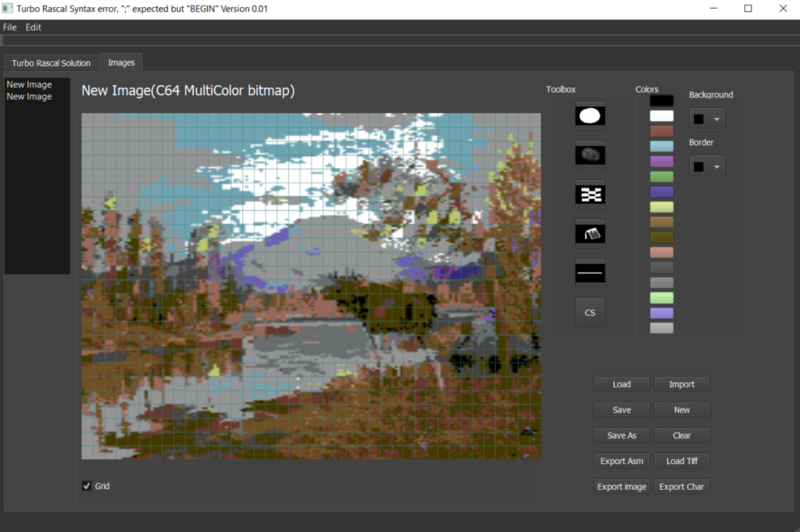 Select a new image of type “multicolor”, and press “import”. In the import section, open an image of your own choosing. For that special effect, I decided on a nice image of a moose during sunset. Probably because I live in Norway. Play around with parameters in order to create a perfect atmospheric image of a moose. When you are done with the image, export as binary to your .RAS project folder. Now here’s the nice part: the code is absolutely short. The binary part of the image is split into two parts: _data and _color. 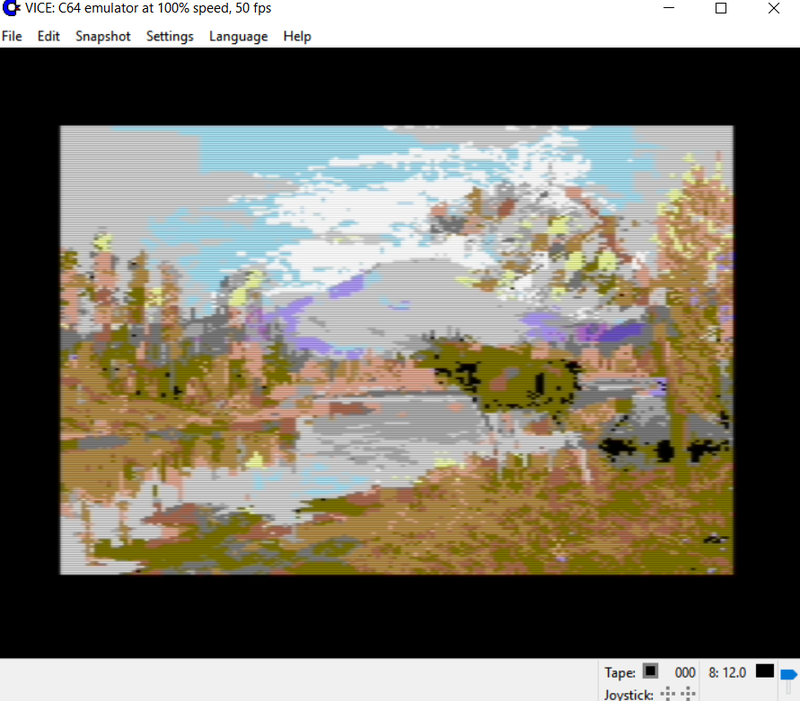 The _data file contains the 8×8 character information for this bitmap, while the color binary contains the color information. In the end, loop and enjoy!